Renovated classic, a true masterpiece! 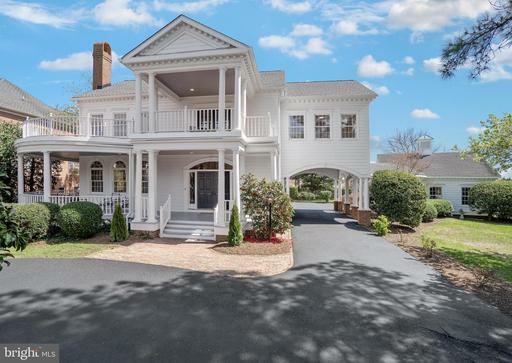 Custom home carefully crafted to capture the charm, character, graciousness of the Antebellum estate that characterizes the tidewater region of Virginia. Fabulous home is enhanced by its gorgeous setting on beautifully landscaped half acre grounds near river. 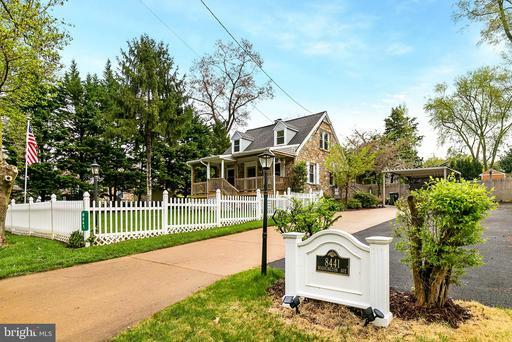 Classic exterior combined with stunning renovated interior make this home completely turn key. Special features include: stately high ceilings, elegant trim detail, stained hardwood floors throughout. brand new chefs kitchen, 4 bedrooms, 4.5 updated baths, two wood burning fireplaces, stunning glass walls in family room, and private main level study with gorgeous stained wooden built ins, each bedroom has its own private bath and stunning river views from expansive master suite with designer bath and huge walk in closet, spacious rear deck, and massive 2 story veranda. If youre tired of the mundane and are interested in a true turn key custom property, this is it! 4.128 acres zoned R-2 for sale. There are 2 lots: 4.0 acres w/house Tax Map 1101 01 0043 and .128 acre vacant land 1101 01 0043A. House on Property sold AS IS" and NO ACCESS given or allowed. Land Value only. Water, sewer, gas, electricity available. This land is adjacent to the houses on Halley Farm Ct. which were built in the 2010-2011 time frame. 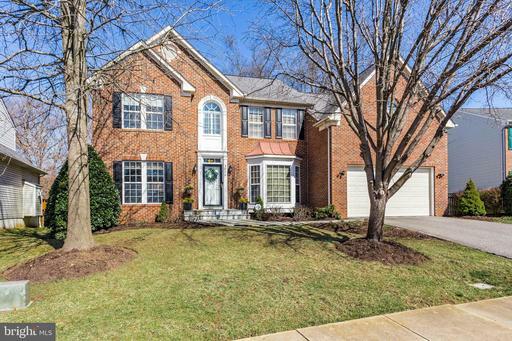 Truly Beautiful, Georgian Style Center Hall Colonial in Sought after Belle Rive, a Premier Waterfront Community in Mt. Vernon. 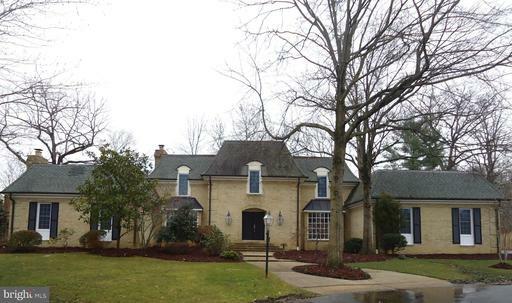 This 5BR, 4.5 Bath, 5600+ square foot home Will Not disappoint. Beautifully Landscaped .50 acre lot with in-ground pool and charming pool house. Where to begin with this Lovely home~. The Location AMAZING, The Size HUGE, The Workmanship SUPERB. 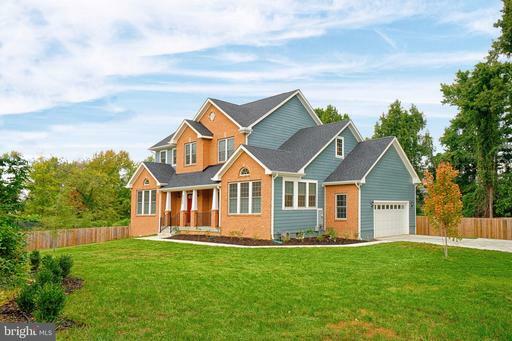 This Beautiful Home is an original Genuario Custom Home set on one of the Original Farms of Mt. Vernon with 5 Large Bedrooms and 4.5 fully updated Bathrooms. You~ll enter into the Grand 2 Story Foyer with Beautiful Curved Staircase, Custom Marble Floor, and Attractive Woodwork. Formal living room has Transom Windows, Crown Molding, Gas Fireplace with Marble Surround Beautiful Mantle, and Hard Wood Floors. The Formal Dining Room has Tray Ceiling, Beautiful Wood Working and Hardwood Floors. A Butler~s Pantry will lead you to the Gourmet Eat-In Kitchen with Granite Countertops, High-end Stainless Appliances, Gas Downdraft Cook Top, Hardwood Floors, and Subway Tiled Backsplash. Kitchen has Open views to the 2-story Family Room with Gorgeous Stone Front Wood Burning Fireplace and oversized Palladium Windows. The Main Level additionally has a Stately Office/Den with Custom Built-Ins, and what might be my Favorite Room~. A light filled Sun Room / Bonus Room with floor to ceiling Palladium Windows and French Doors leading to your Private Deck overlooking the Sparkling Pool complete with Charming Pool House. The Sun Room is finished with New Custom Shenandoah Plantation Shutters. Upstairs you will find the Large Master Retreat complete with 2 Walk-In Closets, Sitting Area, Cathedral Ceiling, and Beautiful Windows with Plantation Shutters. The Master Bath has 2 Separate Upgraded Vanities, Large Soaking Tub, Separate Glass Tile Shower. Don~t forget to check out the Linen Closet in the Master. Upstairs has a 2nd Bedroom with Full Bathroom Ensuite. 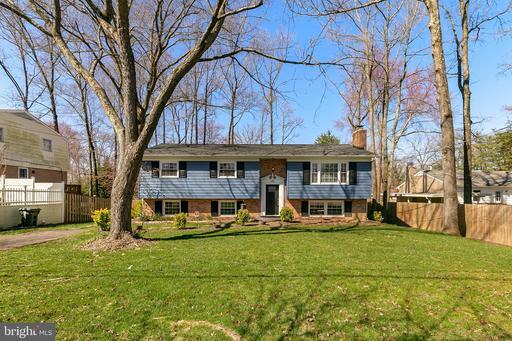 The large 3rd 4th Bedrooms share a beautifully updated 3rd Full Bathroom.The Fully Finished Basement offers an additional 1,500 SF approx. of Living Space and Tons of Easily Accessible Storage. Downstairs you will find the 5th Large Bedroom complete with window closet and Another Full Bath, making a total of 4 Full Bathrooms. WetBar/Sink, Exercise Area, TV Room, Game Room large enough for a Beautiful Pool Table can also be found in downstairs. The Location is unsurpassed~.starting with your own .50 acre landscaped lot on a lovely cul-de-sac in the Premier Waterfront Community of Belle Rive. Beautiful Covered Deck overlooks your Built-In Swimming Pool, Pool House, and Patio. You are only a very short walk away from both Mansion House Swim/Dive/Tennis Club AND Mansion House Yacht Club. 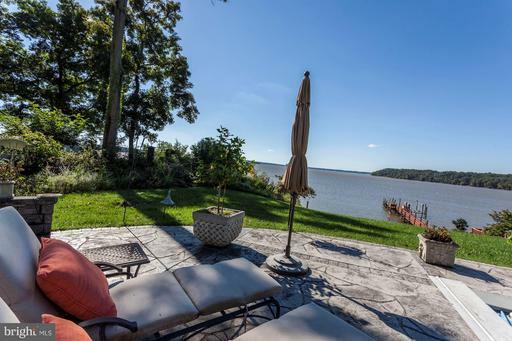 The Yacht Club offers Private Boat Launch, Outdoor Picnic Dining, Boat Storage and truly some of the Most Beautiful Views of the Potomac you will ever find. Welcome Home!!!! Gorgeous quality home built on corner lot. Open floor plan. Built to be Model home. Granite counters, plantation shutters wood blinds thru-out. Fabulous finished basement with 9ft ceilings and loads of light. Tons of upgraded trim including 3-piece crown molding, chair railing and box trim. Gourmet kitchen with 42" cherry cabinets. Over 55 recessed lights provide excellent lighting opportunities thru-out home. In addition to two huge bedrooms in basement, one workshop and one storage room. 3-car side entry garage and driveway apron provide ample space for parking. Brand new: roof, appliances, carpet, paint. etc. Must see! Price to Sell! Absolutely gorgeous home! Retired military owner is motivated, says "Bring all offers!" This house is where traditional elegance meets the internet of things! Main Level: Huge gourmet kitchen with a Viking gourmet restaurant grade cooking center and Samsung "Family Hub" side by side refrigerator with wifi portal screen in door. Also get bottled water purity from high end filtration system under sink. Separate wine cooler. The whole house is wired behind the walls across three generations of technology, copper, ethernet/coax and wifi. Central sound system controlled by zone with speakers in the ceiling. 65" Sharp Aquos HD Smart TV in family room. Newly refinished hardwood floors on main and upper level. 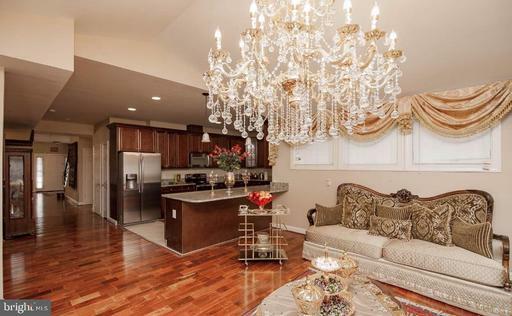 Incredible two story entry foyer with curved stairs and ornate metal balusters and a luxurious chandelier that descends on an electric motorized cable for easy cleaning and changing bulbs. Elegant interior columns complete this stunning entrance experience. Two gas log fireplaces on main level. Design is compatible with a first floor master suite. Upper Level: The upper level has four bedrooms and an office technically a bedroom and three baths. One of the larger bedrooms has its own shower bath attached. The master suite includes enormous walk in closets and sumptuous master bath with private WC, separate shower, jetted tub and his and hers vanities. All bedrooms are wired for audio visual and sound from central control in utility room. Lower level: Basement enjoys two more bedrooms and a full bath. There is a large open area to expand your recreational use next to the home theater. Utility room houses AV electronics center, control for the whole house generator, and sump pump with emergency back up power and alarm triple redundancy. Basement has its own walk out exit to the outside. There is also an easy emergency exit from the front bedroom. Basement is a combination of carpet in theater to hard finishes in recreation room, bedrooms and bath. Utility remains the finished concrete check out the quality of finishing. General: All ceilings are ten feet or higher. Entire house has plantation shutters on all windows except kitchen sink, palladium and oversized fixed front bays. HVAC has electronic air filters is two zoned high efficiency. Exterior: Durable Hardiplank siding with stone veneer. Literally tons of stonework in backyard with retaining walls, massive stone steps, fire pit, and large flagstone pavers. Large hot tub with one year maintenance agreement. Rear yard is completely fenced with vinyl privacy fence with picket sections and gate at driveway/garage side of house. A Rainbird underground sprinkler system hydrates the lawn and landscape on a timer. A three car garage with high end work benches and storage areas, automatic garage door openers and room for an extra car lift in the third bay is more than adequate for your transportation needs. House enjoys a quiet location at the end of a cul-de-sac with close proximity to the historic Mt. Vernon plantation. Commutes into the city begin with a beautiful traffic light-free drive along the George Washington Memorial Parkway. The Mt. Vernon Yact club is minutes from the front door for your deep water boats. A one year membership in the Mansion House Swim and Racquet club comes with the house. The house is also covered by a one year AHS home warranty. 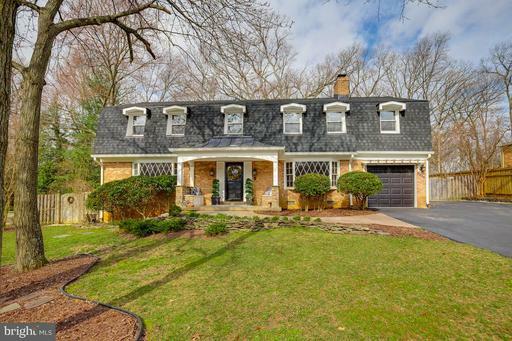 Large brick colonial home with 5000SF of living space situated on one-third of an acre at the foot of a pipe stem on George Washingtons, Union Farm. 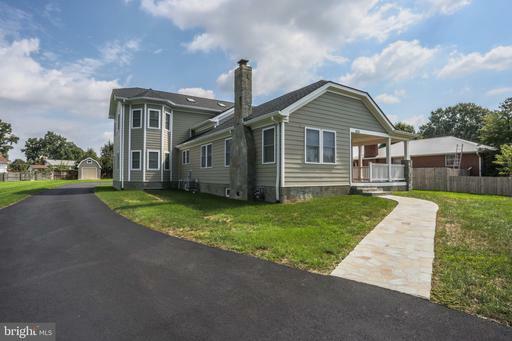 This five bedroom, four and one half bath residence boasts an attached two car garage with workshop and paved driveway. Eat-in kitchen with granite countertops opens to family room and sun room. The spacious rooms make this the perfect home for entertaining and large family gatherings. 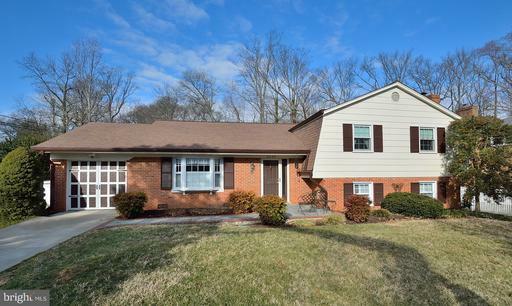 Four bedrooms and three full baths on upper level of the home. The lower level is equipped with a pool table, ping pong table and media room perfect for watching your favorite movie or game. An au-pair/in-law suite with full bath on lower level with wine cellar. A flagstone patio with French doors off the kitchen is perfect for grilling and dining al fresco. Enjoy the private professionally landscaped grounds with hot tub for the ultimate in back yard retreats. 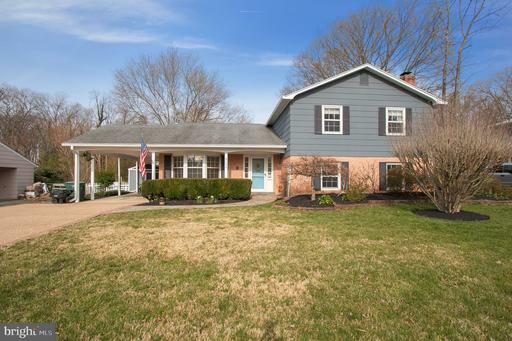 Walking distance to Mansion House Yacht club, close to Mount Vernon and Mt Vernon Country Club. Retreat from the city, bring your boat to this premier water front community! 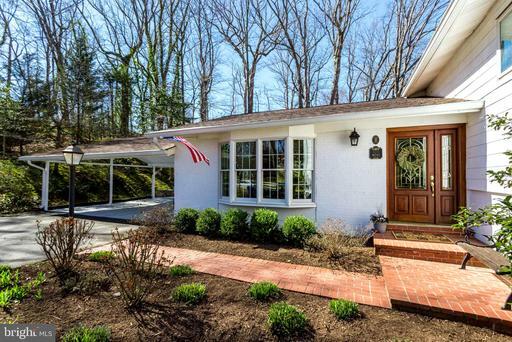 Enjoy the true craftsmanship in this totally remodeled, expanded home with water views. 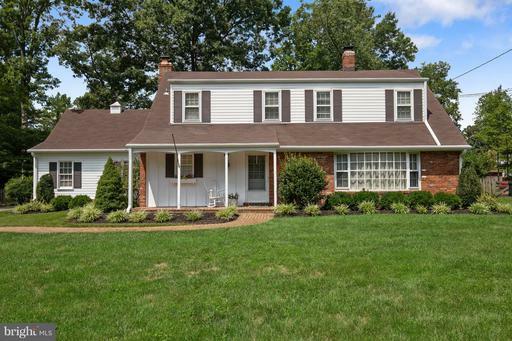 All of this on beautifully landscaped .55 acre lot w/ fully fenced, private back yard. 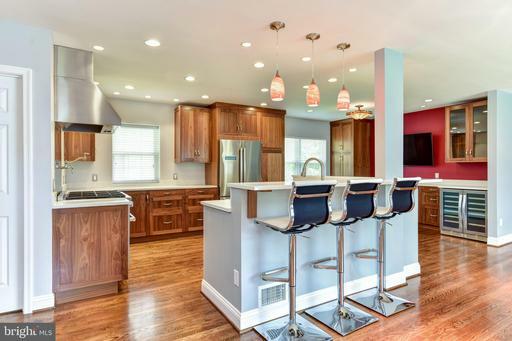 Chefs kitchen open to family room that can entertain a crowd. Bedrooms on both the main and upper level. Wide plank floors, Wolf range, quality cabinetry and designer tiles throughout. Heated master bath floors, Neutral and timeless design. Neighborhood park and boat ramp access on the river. One of a kind home one block from river! VA Assumption with 3.75%. Must be VA eligible! 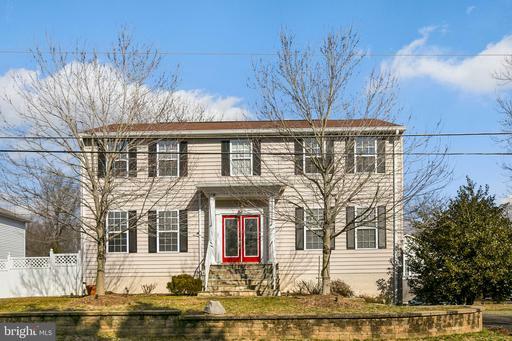 Located just moments to Rt.1, GW PKWY, Fort Belvoir, parks, Wegmans more. COMING SOON! 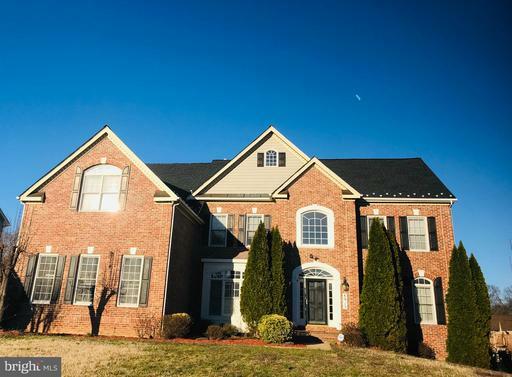 This beautiful 4 BEDROOM - 4.5 BATH with over 5400 sq. ft. of finished area is located in the heart of Mt. Vernon, on what was part of one of George Washingtons original farms. 3 car garage space, freshly painted, gorgeous wood floors, large open floor plan on a grand scale, over sized water heater, cozy sitting room with fireplace off of large master bedroom, 3 more bedrooms on upper floor, library/music room, formal dining and living room, great family room with fireplace, large updated bath in basement, new granite counters in super-sized kitchen, and its just a short walk to Mt. Vernon High, a short ride to GW Parkway, Mt. Vernon and Potomac River. Huge additional storage area approx 800 sq. ft. in basement. County records show the lot size for this as 8800 sq. ft, but does not include lot 38, which the house sits on as well, and is an additional 4400 sq. ft. Call LA for additional information. Relaxing doesnt begin to describe this 3,600-plus retreat youll call home. 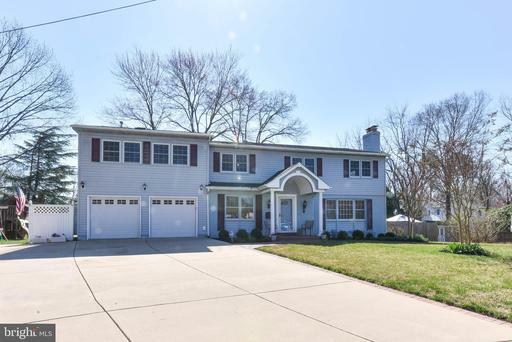 From the moment you walk inside 4324 Ferry Landing Road, youll discover an expansive, stunning home in the heart of Mount Vernon thats packed full of surprises. Meticulously remodeled throughout to give a more open feeling, your first indication of relaxation is just how welcome youll feel when you come into the spacious living room with gorgeous hardwood floors, ample natural light and a modern looking wood burning fireplace. The house was designed to incorporate an easy natural flow from room to room, which makes day-to-day living comfortable and entertaining relaxing. Gourmet kitchen, family room, formal living room, dining room, in home office could also be used as a main level bedroom with a full bath. On the upper level youll find generously sized bedrooms, walk in closets and a master ensuite. On the lower level, this fully finished basement can serve as a wonderful media room with a wet bar on the same level or you can turn it into a really comfortable nanny suite! And this lot sits on a half acre lot! Close to Ft. Belvoir, the Mt Vernon Estate, DC, Old Town, National Harbor, Amazon HQ2, Pentagon. Its the ideal location! Price reflects construction financing discount. Come Build the home of your Dreams backing to trees! Quality construction by second generation builder Wakefield Homes. Open Floor Plan, Large bedrooms, and walk-in closets. Option to add finished attic giving an added 900 sq.ft. with Bedroom, Bath 2nd Family Room. Over 5500 sq ft and impeccable! 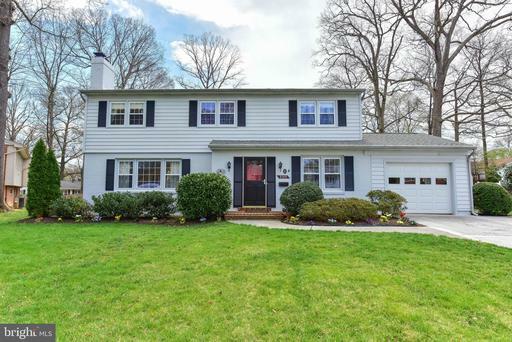 Classic center hall colonial in culdesac. 4 large bedrooms and 3 baths on upper level, lower level bedroom and bath, large rec room, game room and gym or workshop. Beautifully maintained and renovated. Gorgeous deck and patio that backs to trees and privacy. Appliances and AC replaced in last 3-5 years, New carpet, garage door and custom moldings thruout. Nothing to be done! There is one "STANDOUT" home in every neighborhood and this is your chance to own it! Dont miss this custom upgraded home in one of our areas premier communities! Three fully finished levels and a private rear yard perfect for entertaining! The main level has hardwoods thru out, a custom gourmet kitchen with recessed and under cabinet lighting. Open floor plan with a sun lit living dining room and mud room with laundry and custom cabinets. 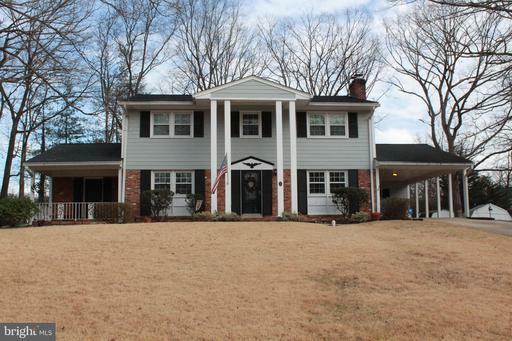 Upper level has 5 bedrooms with gleaming hardwoods! A private master suite with luxury bath, sitting area, fireplace, and large walk in closet. The updated hall bath features an expanded vanity and marble tile. The lower level recreation room has updated flooring, recessed lighting, in home gym and a spacious storage/craft room. 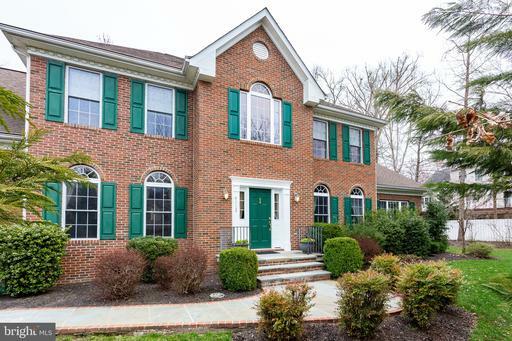 Close to Mansion House, Yacht Club, Mount Vernon Estate, Mount Vernon Country Club, GW Parkway, Fort Belvoir. 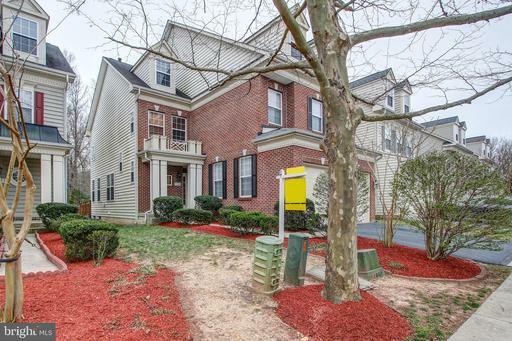 Easy commute to Crystal City, DC, Pentagon, Navy Yard and Andrews Airforce Base. 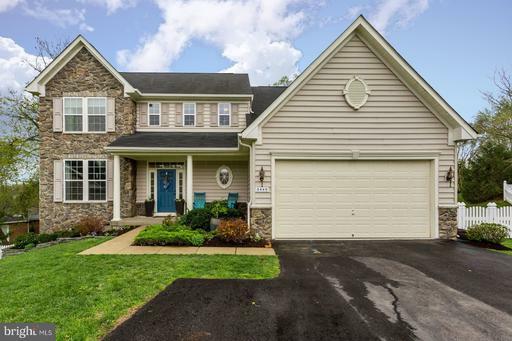 This Riverside Estates popular B model colonial has added a 2 car garage along with a beautiful 2nd level addition which adds 2 bedrooms, and a 3rd full bath to an already spacious home, making it perfect for an in-law or au pair suite. This wonderful 5 bedroom, 3.5 bath home has a backyard that makes going on vacation redundant. With its large in-ground swimming pool and separate hot tub both updated in 2016, ample decking and patio, you have your own backyard oasis awaiting you for relaxing, entertaining, or partying. A covered 12 x 9 screen porch on the 2nd level overlooks the backyard and is a great sanctuary. Updated kitchen and baths. Separate dining room, living room with fireplace, family room, and sunroom all on the main level. Newly refinished hardwood floors on main and upper levels, and freshly painted interiors. Spacious finished lower level adds a 2nd fireplace, a tv room, a game room and a workshop. Furnace and A/C replaced in 2016, hot water heater 2015, gas fireplace installed 2014. All of this, plus its located on a lovely, quiet cul-de-sac! 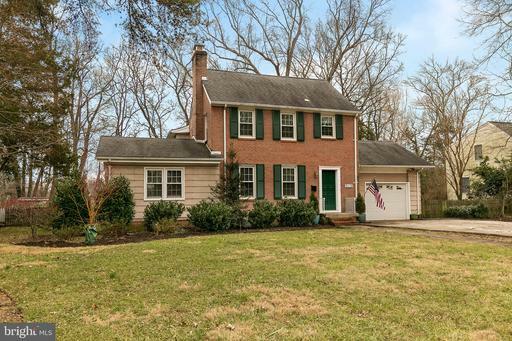 Great location near GW Pkwy for scenic driving to points north old Town Alexandria and DC along the Potomac River, and a 10 minute drive to Ft. Belvoir to your south. Armedas incredibly energy efficient R35 Mimimum Insulative home. LED lighting thru-out, Energy Star Appliances, Tankless energy efficient water heater, energy efficient HVAC, smart ready home, our standards are everyone elses upgrades. NEW definition of GREEN. 3 bedroom interior unit w/ a 2 car garage. NGBS Cert, option 4 bed with FB, attic bonus opt, Close to 95, schools shopping metro. 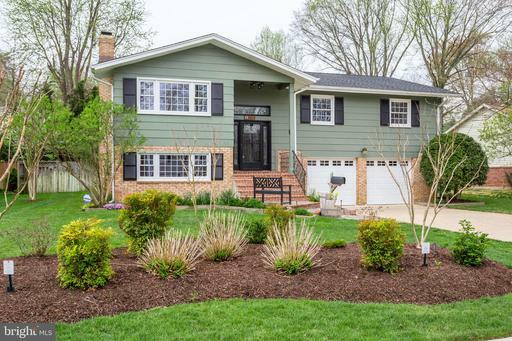 This splendid 4 bedroom, 3 bath home in Woodlawn Manor is loaded with charm and fantastic upgrades! The welcoming entryway leads into the formal living room with a wood burning fireplace. Continue through the formal dining room to the beautifully upgraded kitchen, which boasts cream colored cabinets and stainless steel appliances. 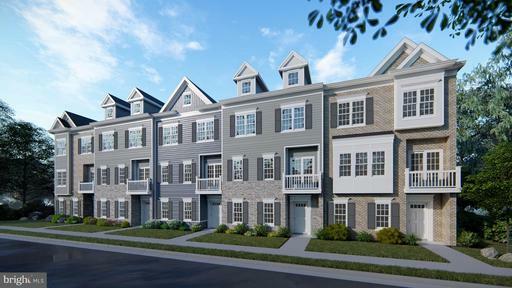 The second floor includes a master suite and 3 spacious bedrooms along with 2 full bathrooms. 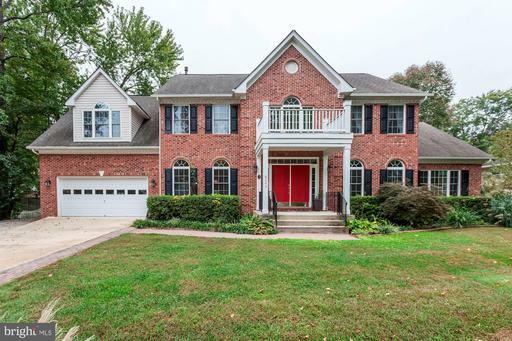 Other highlights include hardwood floors throughout, a 1 car garage, and minutes from Ft Belvoir, Wegmans, the GW Parkway, restaurants and shops! 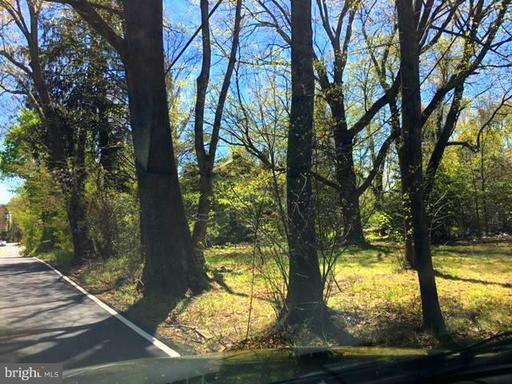 Spacious lot backs to Grist Mill Park, dont miss out! Meticulously maintained and landscaped Riverside Estates 4BD/3BA Concord Model with 2 car garage. Bright and open floor plan, hardwoods throughout. An unbelievable screened-in porch, deck and backyard will make you feel like youre on vacation year round! Huge Master bedroom with walk-in closet and attached master bath. A MUST SEE!! Welcome to your new home in Riverside Estates! This gorgeous home features 5 bedrooms, 4 full bathrooms and $75,000 in improvements and upgrades! 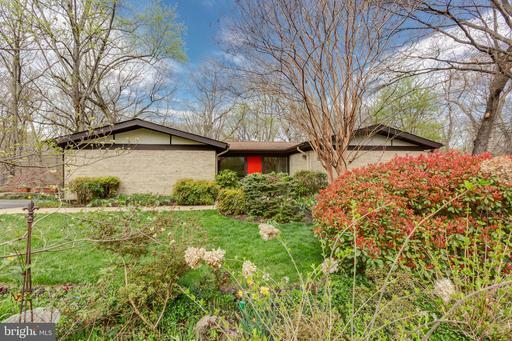 This home is truly turn-key. Top of the line stainless steel appliances in your new chef~s kitchen will have you thinking about your own cooking show! Soak up the sun on your patio or your beautiful sunroom or cozy up by the fireplace in the winter. 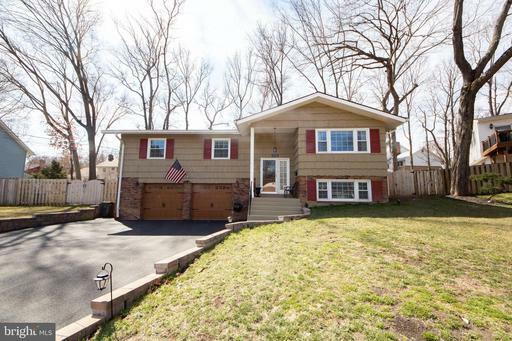 Let~s not forget about your INCREDIBLE 2 car garage with bump outs on both sides for amazing storage.The location of Cherry Valley is a dream. 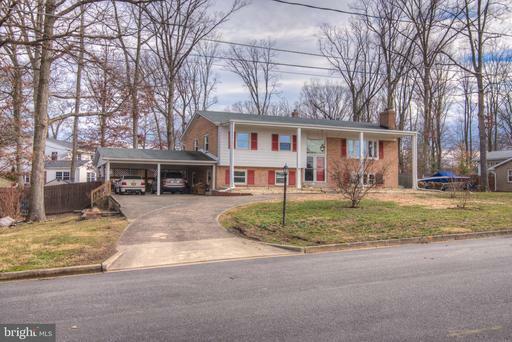 Conveniently close to Richmond Highway, Telegraph Road and 95. 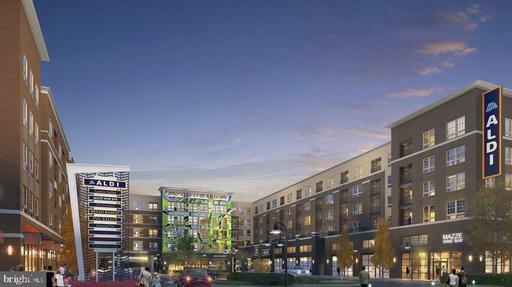 You will never be bored with Mount Vernon, shopping, dining and entertainment everywhere you turn! Welcome Home! AGENTS: ALL OFFERS MUST BE SUBMITTED BY SUNDAY 3/31/19 5pm. This is a true Virginia oasis that embodies the fun of entertaining and the great outdoors. 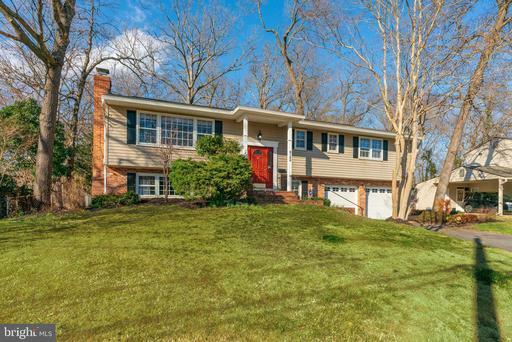 This 4 bedroom, 3 baths on 1.5 acres is tucked away on a cul-de-sac in bustling Alexandria. This property has everything a nature- loving individual could want all year long. From the multi-level deck where you can host your friends on summer nights to the screened in gazebo where you can privately enjoy your summer nights listening to the stream that runs on the edge of the property. The appreciation for the outdoors and entertaining isn~t just limited to the warm months though. 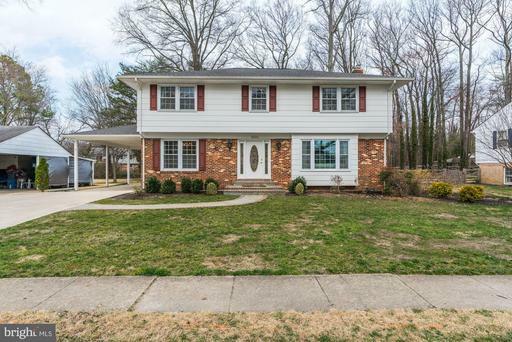 This home features newly renovated windows and a sunroom that lets you enjoy Virginia winters from the coziness of your home. Getting cozy in this home is easy, with the 2 fireplaces. You will want to share this view with all your friends! 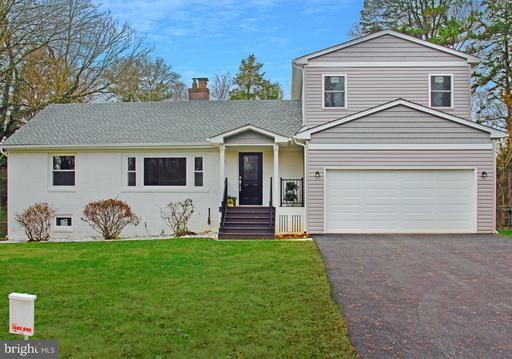 Entertaining friends and family, alike is easy with the refinished hardwood floors, stainless steel appliances and the freshly painted walls further extenuates this homes ability to bring people together. Starting the night off with divine meals in the dining room to moving the party to the family room to enjoy a game night with those you care about. 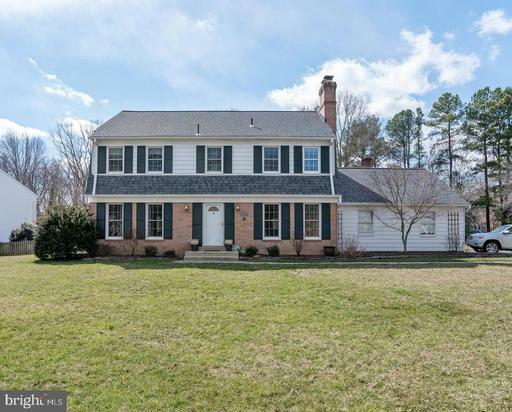 Family and friends that are local or far can make their way to enjoy your piece of oasis with it being 12 miles to national airport and minutes away from Fort Belvoir military base. 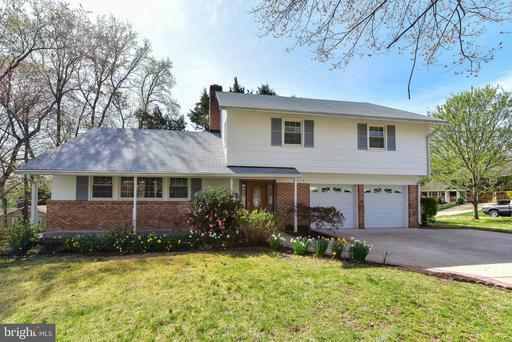 Recently remodeled 5BR, 3BA home with an open floor plan in Mt. Vernon area with large, fenced backyard. Over 2200 Sq. Ft. of living space. The updates are stunning with modern amenities! The kitchen has granite counter-tops and SS appliances that opens to dining room living room. New hardwood floors and carpeting. Replacement windows. Newer bathrooms. Large deck. Large family room w/wood burning fireplace and sliding glass doors to backyard. New exterior siding and shutters around the entire house, new insulation, French drain, and sump pump installed, Master bathroom shower updated. 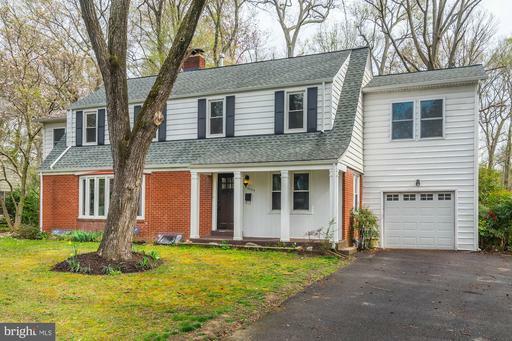 10 mins Ft. Belvoir, 1 mile to GW Pkwy Great neighborhood/school district. 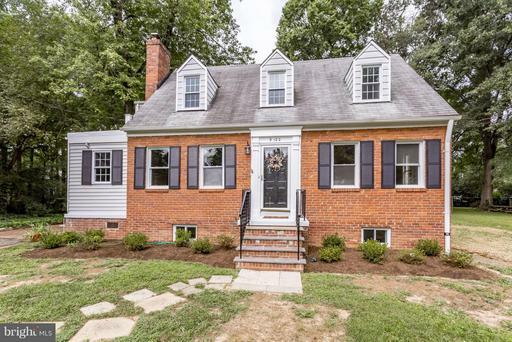 Located in one of Alexandria~s most prestigious and historic communities, this thoughtfully remodeled five bedroom, 2 and 1/2 bathroom home is centrally located on one of President George Washington~s five farms. This home is ideal for entertaining, inside and out with a large patio in the oversized backyard, sitting areas and an abundance of natural light. 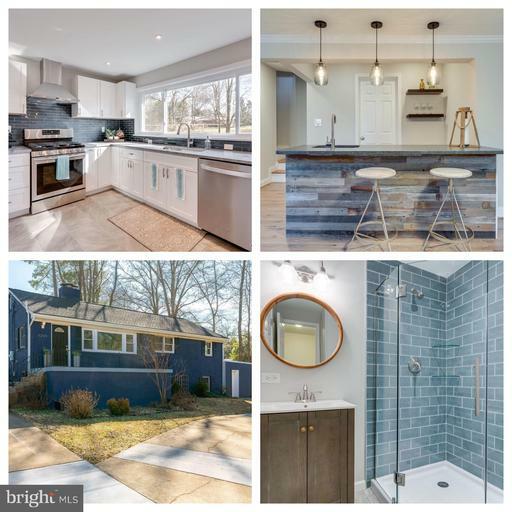 The quality constructed 3,200 square foot home boasts a light and airy open floor plan and features recent, stunning updates in the kitchen, bathrooms, bedrooms and more. The remodeled kitchen has custom cabinets, Granite countertops, subway tile backsplash, fresh paint and engineered hardwood floors throughout. Entertain in your formal dining room with a slider to the backyard or enjoy the coziness of your breakfast nook. With five bedrooms, the updated basement can serve as guest overflow, home gym, office, playroom or more. This home also has an oversized laundry room/mud room with ample storage. The fruit bearing trees/bushes produce cherries, figs, raspberries, grapes and strawberries and a garden bed that is ready for additional vegetables and herbs of your choosing. Located a conveniently short distance from Fort Belvoir, the George Washington Parkway, biking and running trails along the scenic Potomac River, historic Mt Vernon, the Pentagon and Washington D.C. With close proximity to Old Town Alexandria - entertainment, restaurants and shopping Wegmans, Costco and Springfield mall are a short distance from what could be, your new home. 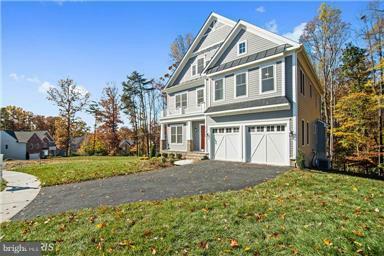 This is Riverside Estates largest colonial model with 4 large bedrooms, 2.5 baths and a large one car garage. Gorgeous backyard! 2000 sq ft on main and upper levels plus approximately 900 in the lower level. This has a great floor plan w/a spacious kitchen, dining room, living room w/fireplace, powder room, and family room all on the main level. 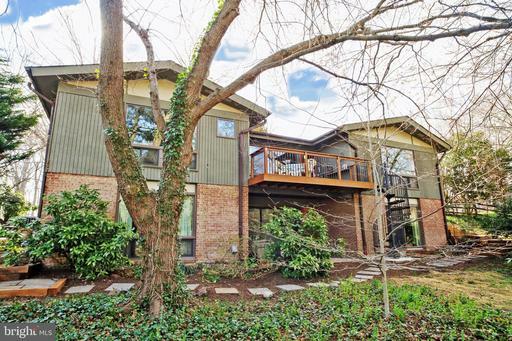 Four large bedrooms and 2 full baths on the upper level. Beautiful hardwood floors, main and upper. Rec room and separate utility room in the basement. New roof, double pane replacement windows and remodeled master bath. 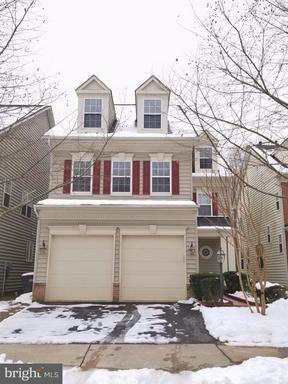 Minutes to Ft. Belvoir S and Old Towne Alexandria N. Close to Mt. Vernon Estate and George Washington Parkway for scenic commute along Potomac River and Mt. Vernon Bike Trail. Some photos depict rooms that have been virtually staged.